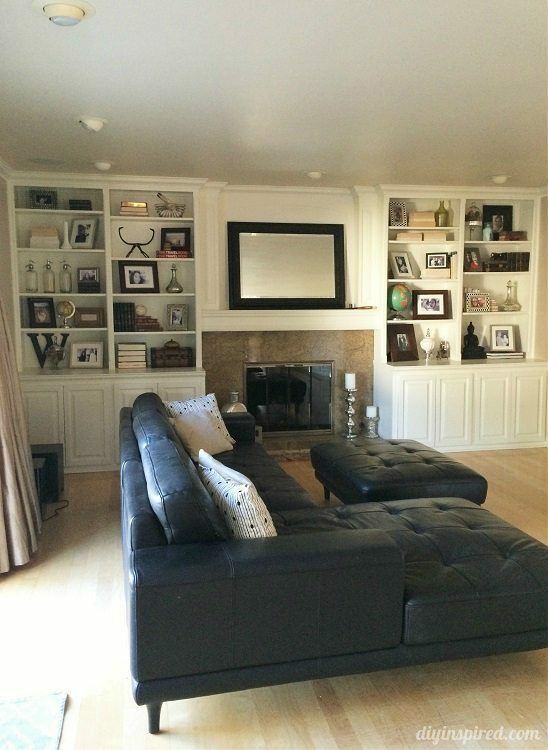 When I first saw this house, one of the things that got me excited was the built in bookshelves in the family room. 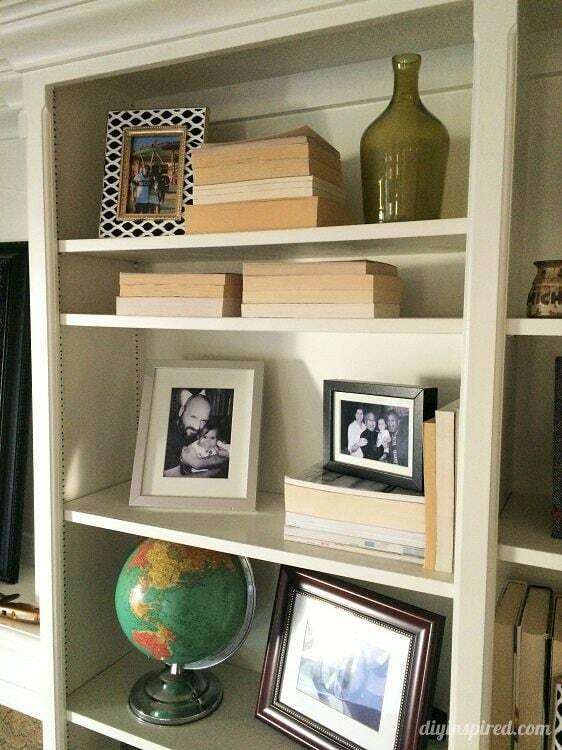 Having a love of decorating, I could imagine changing my bookshelf décor around with every holiday and season. 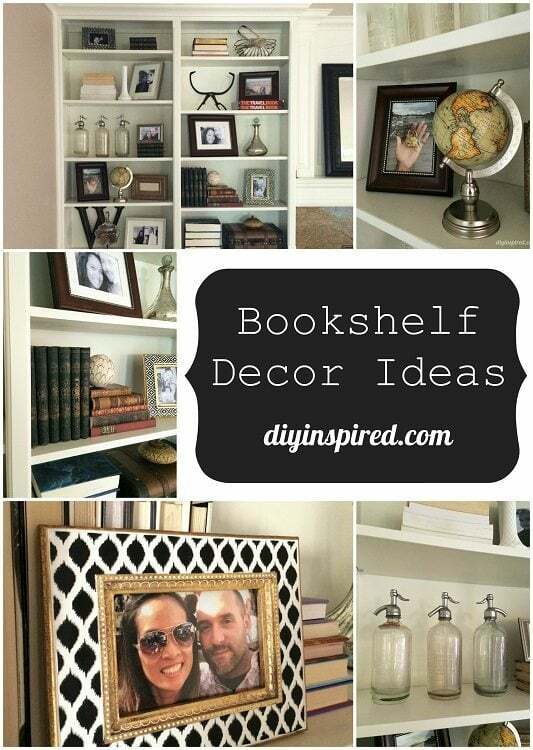 Today I thought I’d share a few of my bookshelf décor ideas. Although I am not a professional interior designer, I do have some helpful tips… well, at least I think they are helpful! Ha! I love to read fiction and my husband loves to read nonfiction, therefore we have a lot of books. On top of that, I have a collection of antique books. Because our book collection is eclectic, for our nonfiction and fiction books, I like to show the book page side versus showing the spine. I feel like it gives it a clean look. Typically, we read the book one time and it goes on the shelf, so placing them “backwards” is not an issue. For the antique books, since it is a collection and I love looking at the titles I place them spine out. I place them in order of size, and alternate them horizontally and vertically. When the seasons and holidays change and I want to add color, I will arrange the fiction and nonfiction books with spines out and by color. 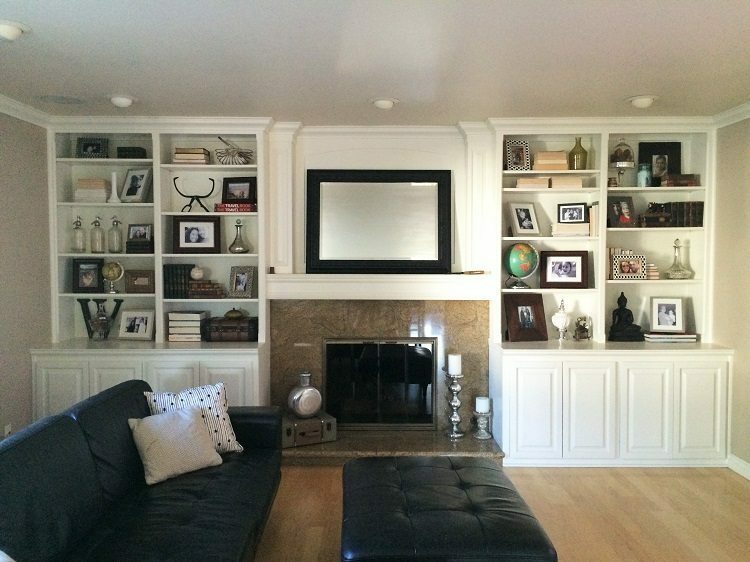 Another option for a clean look is to take the book jackets off. If you haven’t guessed, I am a flea market and garage sale junkie. I love perusing flea markets for unusual things. 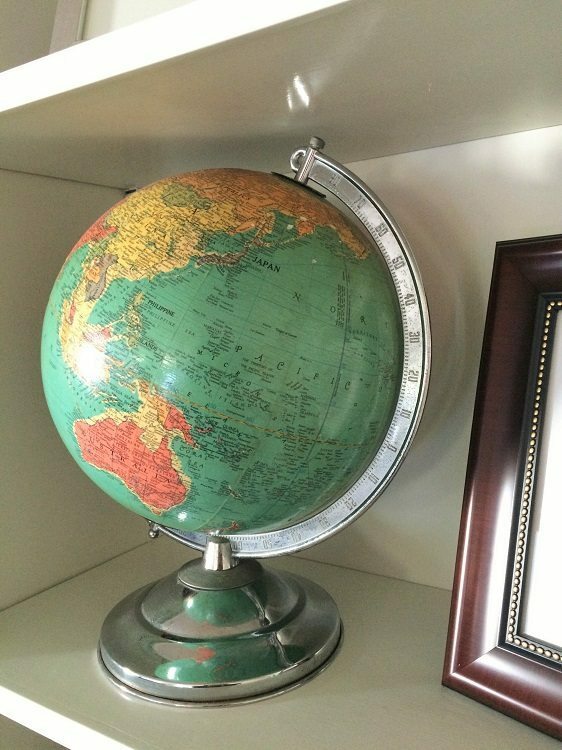 I love globes, mirrors, glass spritzer bottles, and other glass bottles and tins from the flea market. I also have a collection of family items like my husband’s great grandmother’s iron, ice pick, and cast iron train. 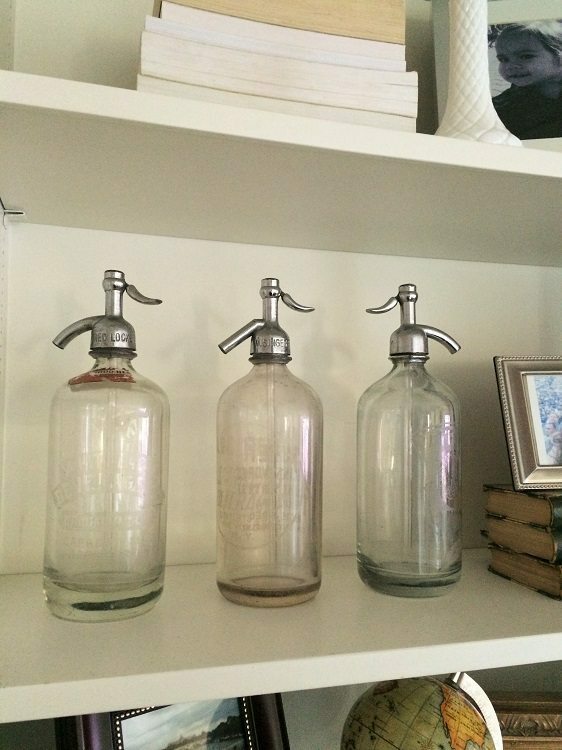 But, I love a good deal at Home Goods, so I will mix new and contemporary vases and bottles, frames, and other knick knacks. 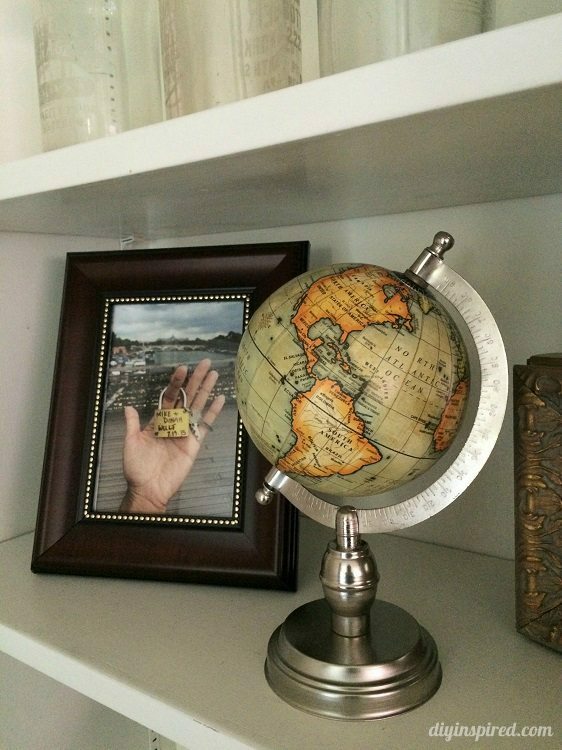 Of course, you have to display things that are a reflection of YOU. 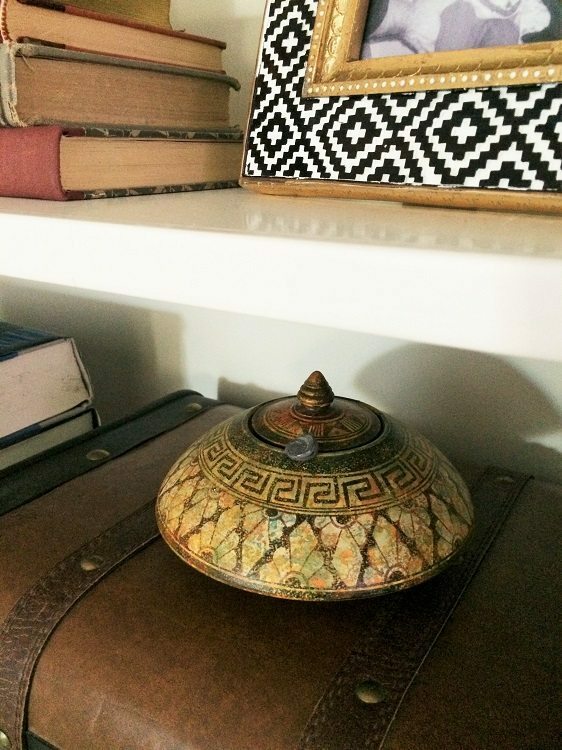 We like to travel, so I have some pottery I brought back from Turkey. Inside it is every fortune I have ever gotten from a fortune cookie! My husband brought back a statue from Thailand that we have up. I also have a flea market mason jar I found and we fill it with concert tickets, movie tickets, special notes, and things we want to keep forever. To achieve consistency, all my photo frames are natural tones or metallic. They are brown, black, white, silver, and gold. The pictures are a mixture of black and white and color. 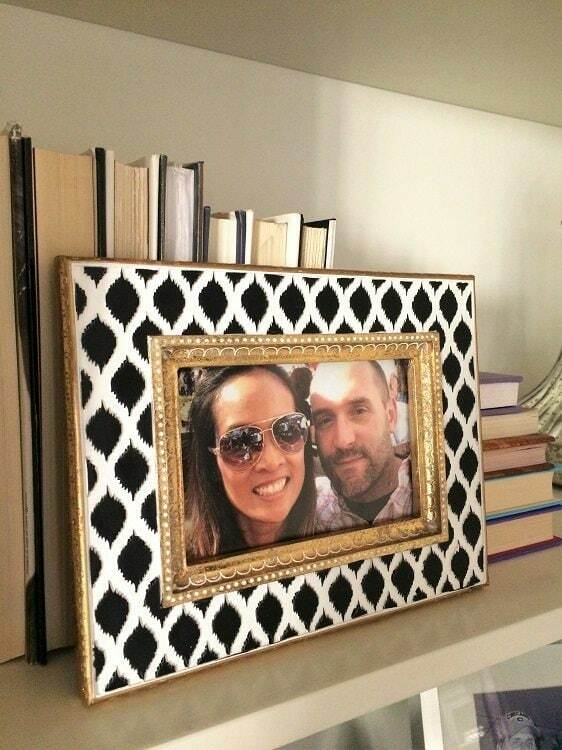 Once a holiday comes around I will mix it up with some colored frames. The largest frame I display is 8X10, but most are around 4X6. I like to layer the small ones on top of a stack of books. If you need extra storage, decorate with small suitcases and baskets. That way, you can out things inside. I also like glass jars because you can easily change the inside contents to fit the holiday. For example, in an apothecary jar you can fill it with eggs for Easter, shells for the summer, or ornaments for Christmas. Thanks, Ava!!!! Love that you stopped by 🙂 Miss and love you tons! 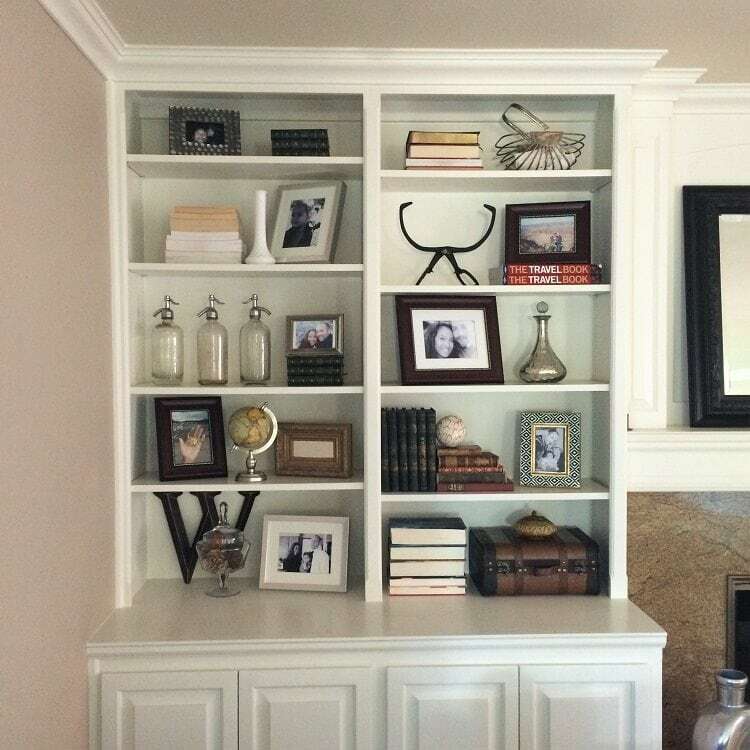 I love your bookcase design. 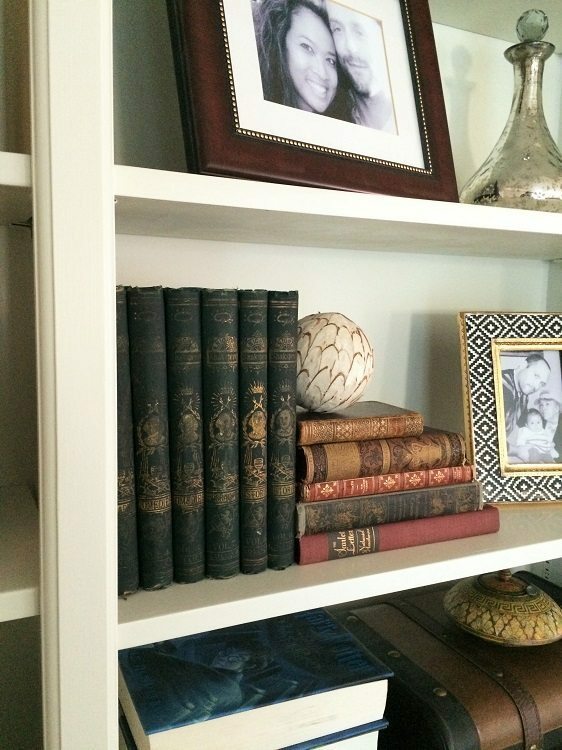 Mixing the old books and new items, the globes and pictures.. brings a variance of elements and you have them styled perfectly.. Your shelves look wonderful. Thanks for the great decorating tips. I need to work on adding more pictures to my bookshelves so I can have more layering. Thank you, Rebecca! I need to update a few! 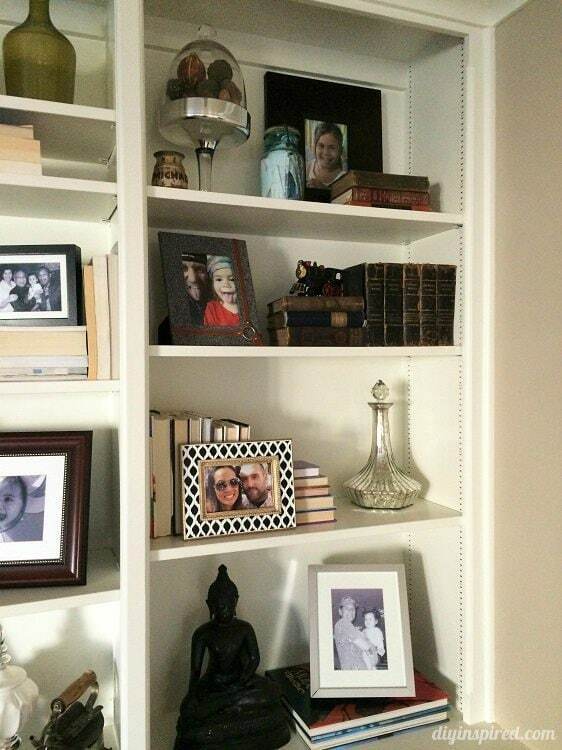 Hi Dinah, bookshelves are one of those things that either ‘click’ or don’t …and I have some of both in my home. Always looking for guidance so very appreciate your suggestions and visuals. Thank YOU, Lynn. I completely understand what you are saying. Thanks so much for stopping by! Everything is beautiful, you did a wonderful job styling! Thank you for having me again, Lindsay! 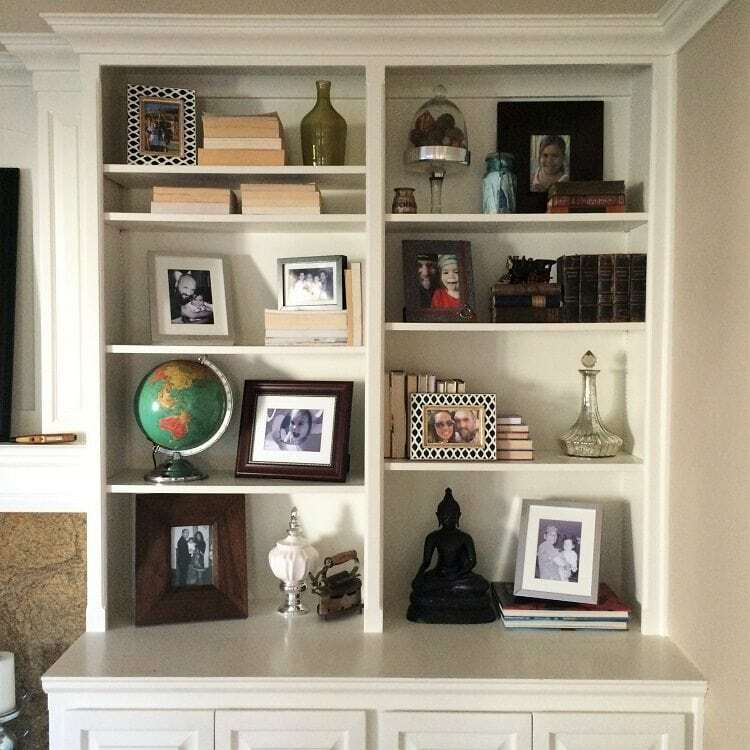 I need so much help on styling shelves, so I appreciate this post! I keep putting it off and leaving it as is because I feel so clueless. Your shelves look beautiful!! Thank yo so much, Jenny! !